Coseppi Kitchen in Culture Magazine! 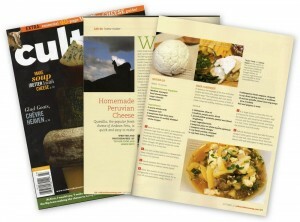 Our article on Andean Quesillo has been published in the fall 2012 issue of Culture magazine! You can find Culture magazine at more than 4,500 retailers in the country including HEB, Central Market, and Whole Foods. We first saw the publication early in 2012 and were impressed with the quality of the photos and the breadth of the content. We were inspired by the DIY section to write an article on making the fresh cheese that we came to love while living in the high Peruvian Andes. The recipe published in Culture is not unlike the fresh cheese recipe we published here a few months ago. The primary difference is that at higher altitudes water, and milk, boil at a lower temperature which also creates a smaller curd in the resulting cheese. We also enhanced the flavor with the addition of lime juice to form the curd. 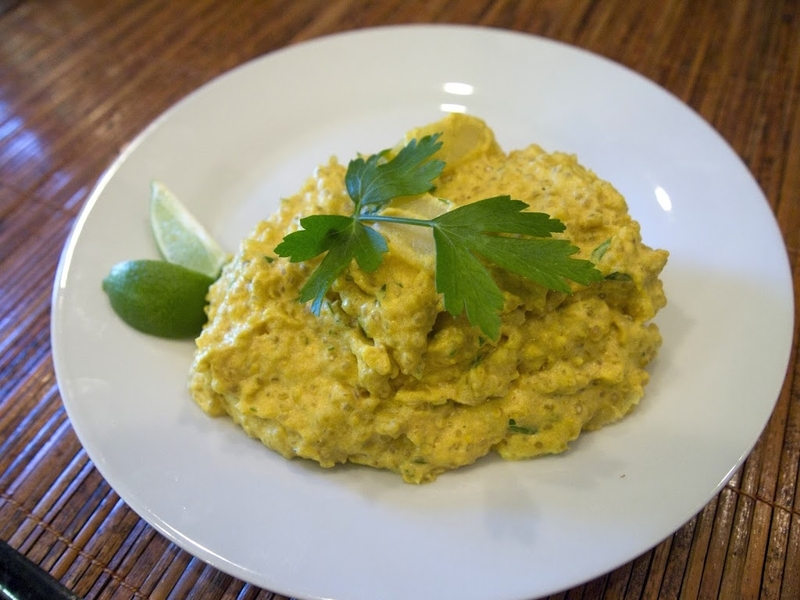 The resulting cheese is the perfect recreation of Andean Quesillo and ideal for the use in many of Peru’s most famous dishes including Aji de Quinoa, which can found on Culture’s website. Users of this recipe should know that the photo that accompanies the recipe on the website might be a little misleading. Aji de Quinoa does not contain large waxy chunks of potatoes and garbanzo beans. Rather, it is a classic Peruvian dish that an editor might think resembles the result of food and not necessarily food itself. In anticipation of this publication we made some additional recipes with quesillo including Ensalada de Chocolo y Chocho (Corn and Edamame Salad) and Butternut Squash Crema. Soon, we will also be making some sweet humitas with quesillo and dreaming of our next foray into the publishing world. Congrats! What a great clip for you guys! Thanks! We’re really happy about it!